Today's First Look with Happy Everything isn't really a first look! Since it's debut in October, everyone has already shown great love for this versatile stamp set because the possibilities are just endless! Life as we know it, should always be happy! 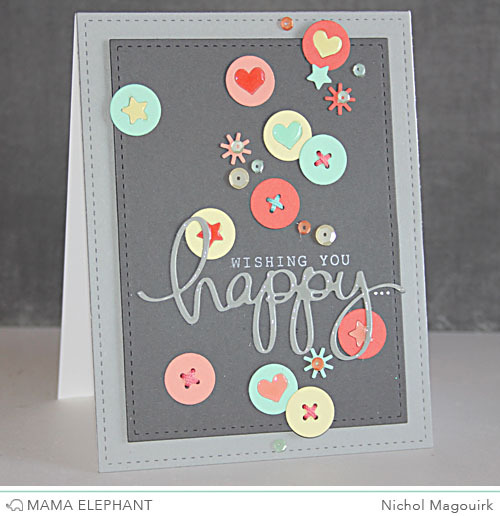 In this card I've used the Happy Everything Stamp set with the Happy Script and the new Birthday Script Creative cuts. 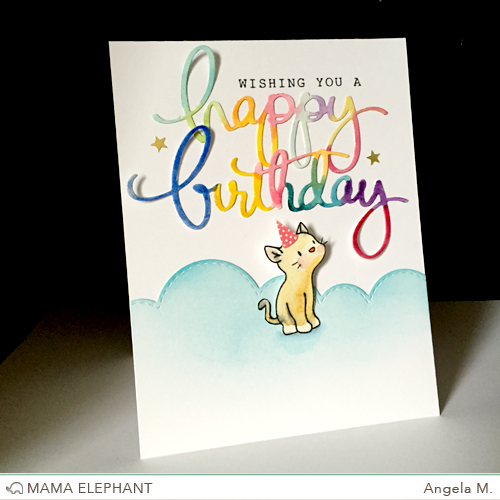 Add a little party animal from Purrfect Pair and you have yourself a Happy Kitty Birthday Card! To see how Nichol made this, check out her blog post with video! 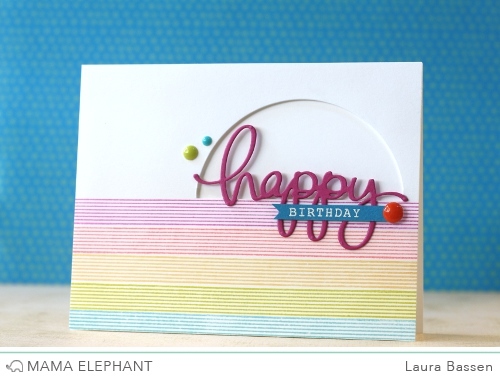 To see how Laura made this, check out her video! Great cards! I especially love the cute little kitty, he's so cute! Kitties! I love them, they are adorable. Oh what bright,fun and happy cards...love them!